Are you a regular swimmer? Have you ever practiced Aquagym in Mauritius? Let us know!. Please have a look at the pools swimmers like you may have reported near Mauritius. Please, report any Mauritius Swimming Pool not listed here. There are often discounts available to senior citizens and tiny kids for independent swim. 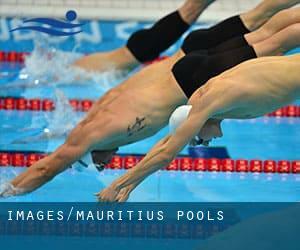 Find out by contacting your nearest pool among these Mauritius Pools. Regular users of the following Mauritius Pools told us one of the most critical thing about swimming is to control your breathing. Sometimes this is not attainable because we raise the neck to breathe and the body is not aligned. To avoid this, our head should be aligned with our spine all of the time. Traveling to Mauritius? This is the perfect spot on the internet to find places to swim in Mauritius. Each day you are not swimming you're losing precious time in improving your expertise to be a much better swimmer! No more excuses! Acquire your nearest Mauritius Swimming Pool and tell us how it went. Do you know of any Pools in Spain that need to be listed here? Contact us!. One of the advantages of outdoor swimming in Mauritius is the possibility to sunbathe for the duration of the summer season. Taking it with extra care, sunbathing is healthy due to the fact introduces Vitamin D into the body, so the very best option seems to be switching between indoor and outdoor pools depending on the season. There are various reasons why you must choose a heated swimming pool in Mauritius. The most critical one relies on the importance of keeping the body temperature stable. When the water is too cold, your body will try to warm it up and you will lose strength to swim appropriately. Without a shadow of a doubt, swimming in Triolet would be the finest way to unwind soon after work. Take a couple of minutes to browse Swimia's catalog to find a Swimming Pool in Triolet. Let us tell you a secret to switch off while you are in Port Louis: just decide on a Swimming Pool in Port Louis and plunge into the water! There's no more productive method. Swimming is a exceptional idea to keep your body active during your visit to Curepipe (Mauritius), or even if you are a local. Swimia assists you to discover your closest Pool in Curepipe. Holding an estimated population of 80.961, Quatre Bornes is among the most important cities in Mauritius. Check all the Swimming Pool in Quatre Bornes and its surrounding area. Whereas Goodlands is one of the six most populous cities in Mauritius with nearly 20.910 residents, you shouldn't miss that one if you're going to Mauritius. It's hard to visit Mauritius without dropping by Vacoas (with 110.000 residents). Currently Swimia is showing you all the Swimming Pool in Vacoas along with the closest pools located in its vicinity. Wolmar , Flic en Flac . Swimmers like you reported 25 meters, Outdoors. Phone number and e-mail address are number for this Swimming Pool. Trou aux Biches , Triolet . Swimmers like you reported 30 meters x 5 meters, 1.1 meters maximum depth, 1.1 meters maximum depth, Outdoors. Unfortunately we do not have the email address of this Swimming Pool, but we can give you the phone number. Off the A10 Royal Road , Mare D´Albert . Swimmers like you reported 25 meters, 6 lanes, Outdoors. Unfortunately we do not have the email address of this Swimming Pool, but we can provide you with the phone number. Updated on 2019 Swimmers like you reported 25 meters, 6 lanes, Outdoors. Unfortunately we do not have the email address of this Swimming Pool, but we can give you the phone number. Updated on 2019 Sir Francis Herchenroder Street , Beau Bassin . This sports centre delivers Olympic size, 8 lanes, Outdoors. For this Swimming Pool, only phone number is number here. Route A6 , Riviere du Rempart . This sports centre offers 25 meters, 6 lanes, Outdoors. For this Swimming Pool, only phone number is number here.